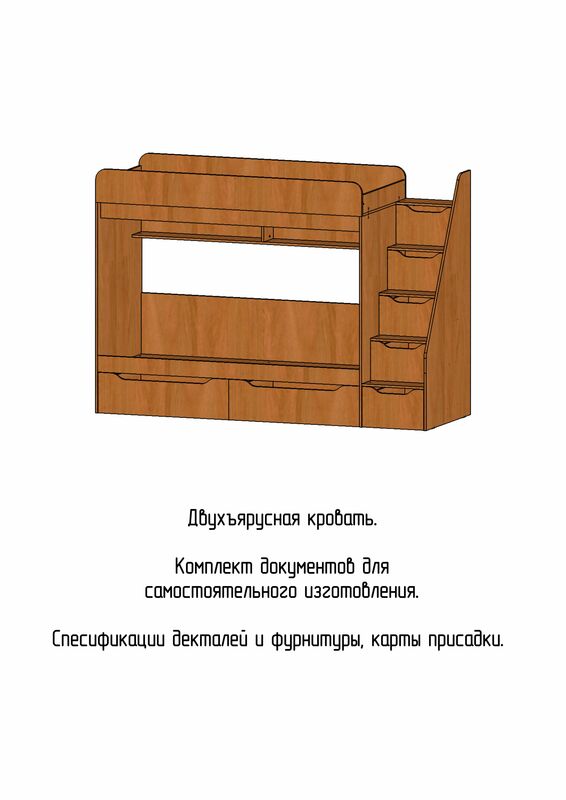 A set of documents for self-made bunk beds (specifications of parts and accessories, additive cards). The dimensions of the product are 1665x2384x832 (HxWxD). Bases for mattresses 1800x800.